The numbers are in for McHappy Day in Windsor-Essex. Jason Trussel, the owner of McDonald’s restaurant on Dougall, tells CTV Windsor $233,205 was raised in Windsor and Essex County. That surpasses the $149,000 raised in 2017 and $86,000 in 2016. The total includes the $42,000 raised during this year’s inaugural Big Red Shoe Run. 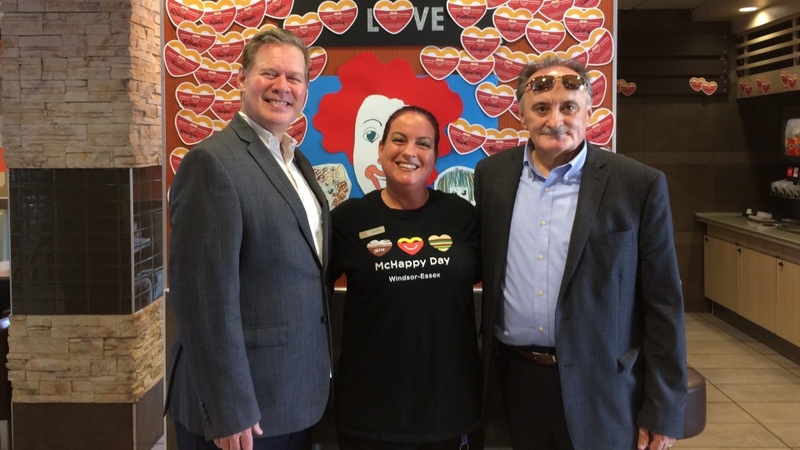 This was the 25th year for McHappy Day in support families and children in need. The money will now be divided up between the Ronald McDonald House within a Hospital at Met Campus, and the John McGivney Centre. As much as 25 to 50 millimetres of rain could fall in Windsor-Essex and Chatham-Kent this Easter weekend.